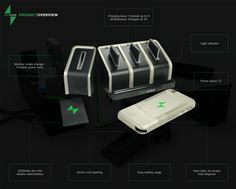 ORLANDO, July 23rd, 2015 – PowerSpark, LLC, an emerging mobile tech company, is revolutionizing mobile charging by developing an enhanced case and network of docking stations that allow on-the-go users to swap out low batteries without ever needing to remember to pre-charge or wait for a full charge. PowerSpark launched an Indiegogo campaign on 07/21/2015 to raise money for production of its products and services. Unlike existing battery packs, PowerSpark’s solution is immediate and eliminates the need to wait for a dead battery to power-up or to charge in advance. Once equipped with the uniquely designed PowerSpark case, users can be on their way within seconds by easily swapping their low smartphone battery with a fully charged one from a personal battery dock, public swapping station or certified PowerSpark dealer. The PowerSpark smartphone case is designed to be more compact and lightweight – by at least 20% – and run with higher efficiency than leading power packs. The battery is not enclosed within the case, thereby generating less heat and running at a cooler temperature than existing cases. The case will initially be available in three colors: black, white, and polished aluminum. The personal battery dock has an ultramodern design for in-home use and can support three batteries, two general USB ports and two micro-USB ports. Additional single battery chargers can be purchased and connected to the base for added charging capacity, used as a standalone charger or as a portable power pack for any USB device. The battery dock can power up to six additional batteries, enabling a total of nine batteries to charge simultaneously. PowerSparks’s long-term vision is to build a network of industrial PowerSpark swapping stations and certified dealers that offer quick battery swaps in the most convenient locations, such as in airports and shopping centers, where a quick charge is in highest demand. Apps for both android and iOS are in development for increased functionality. Users who download the app can check their remaining battery life, set notifications for when low levels are reached and find locations of the nearest PowerSpark station, as well as stay in-the-know with updates on the latest PowerSpark solutions. A 30 day crowdfunding campaign to fund $50,000 US dollars for the production of PWRSPRK has been launched on Indiegogo on July 21, 2015 with an early bird deal of $60 (including shipping within the US), originally retailing at $100 + shipping.